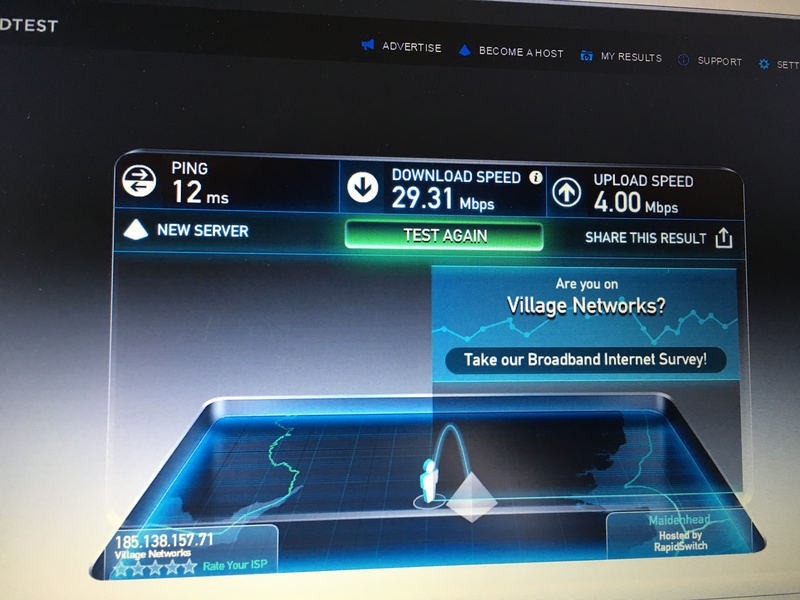 Village Networks are now offering connections in Stonor and Pishill. You can see a screen shot here of an actual test result at 29Mb/s in Stonor. To get connected, see this link for details. Remember this is independent of BT, nothing to do with your phone line. For businesses or anyone who wants to pay a premium, much faster speeds can be delivered. The monthly cost is the same as BT’s ‘Infinity’ service. You should be able to run a mobile signal booster over one of these if you don’t have a mobile signal and, with the right kit can even give up your BT phone line. Next up, in a few weeks will be Russell’s Water, Cookley Green, North End, Britwell Hill, Howe Hill, Maidensgrove, Swyncombe and Turville Heath. These all depend on us getting an aerial on the police masts at Britwell Hill, which the police have finally agreed, and in some cases a local ‘node’ in the community to relay the signal from the masts. 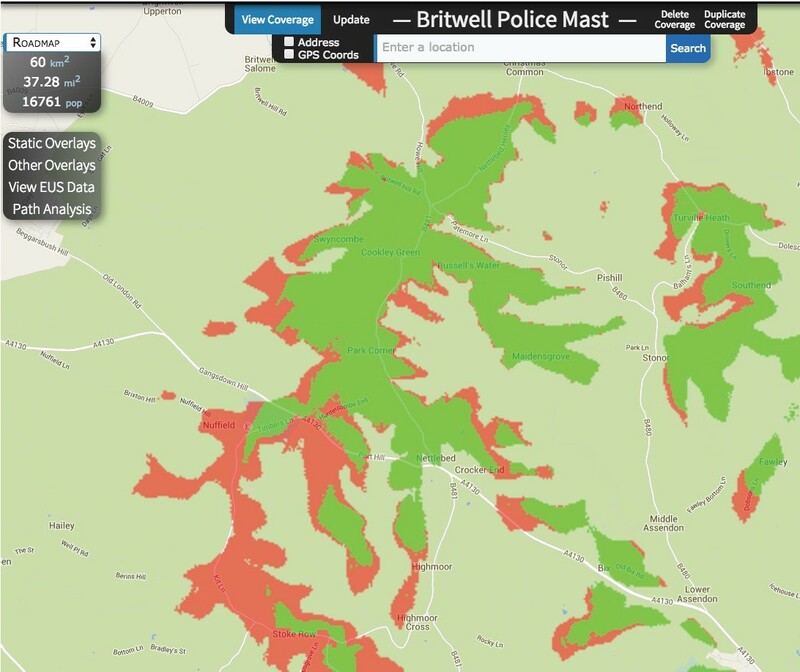 We’ll publish an update when Britwell Hill mast goes live and we can start work on other communities. If you have any questions, get in touch via Village Networks or contact Peter Richardson, Ian Beecher-Jones or me at Connect8. Happy to help – our frequently asked questions might have the answer. Both lines have international call packages and Unlimited call, call minder and caller display. Both BT lines have gone and replaced with 1 Vonage connection running over Village Networks broadband, with the old BT number being transferred. Vonage is £20/month includes all UK landline and mobile calls. The international package cost £3.99/month and is unlimited. For voice and video calls also we have a choice of Whats App, Facebook or Skype which all work over the broadband. We use the Three mobile network and our mobile phones use Three Wi-Fi calling (which uses the wifi and broadband to make the call when you can’t get a phone signal), so now with full coverage of proper wifi our phones can be used all over the house. Do I have to keep my BT landline? You can for landline calls, but you can use other services such as Vonage, Facebook, Whats App or Skype to make calls. How many land line calls do you make now rather than mobile calls? Can I use my mobile now? Yes, if your mobile provider has a service such as Wi-Fi calling or add on boxes (such as Vodafone Suresignal or ee SignalBox) then mobile calls will travel across the fast broadband and give you a signal. Do I get BT sport with Village Networks? How do I watch sport on my TV? You can subscribe to BT Sport separately (£22.99) or Sky Sports to watch sport on a monthly basis. Or NowTV which is an on-demand Sky TV service for films and sports from Sky. Can I use Netflix and Apple TV? Yes, with the Village Networks service all these service work seamlessly. Ian has also broken down the expenditure, showing a substantial saving of £120 a month. Once a fibre is fitted, if you go with BT as the ISP you have the choice of BT’s standard Infinity packages from 30-80Mb/s. If you are prepared to pay a lot more, then over 100Mb/s is attainable but the packages for this are complex and hard to find. 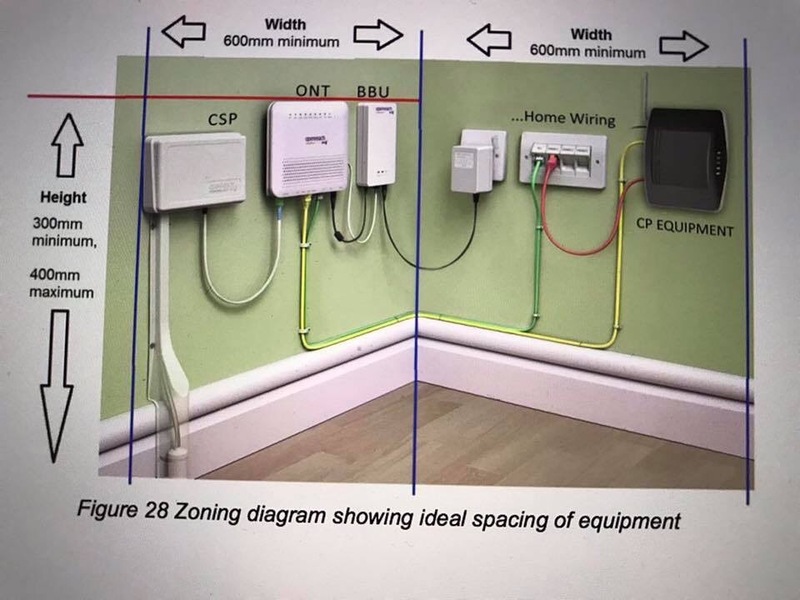 Installation can be a hassle (slow, two visits at least – one survey, one fitting to house wall, sometimes a third to drill through and install kit inside house). Seasoned broadband campaigners elsewhere in the country have warned me to be wary of the installs until Openreach improves its system. 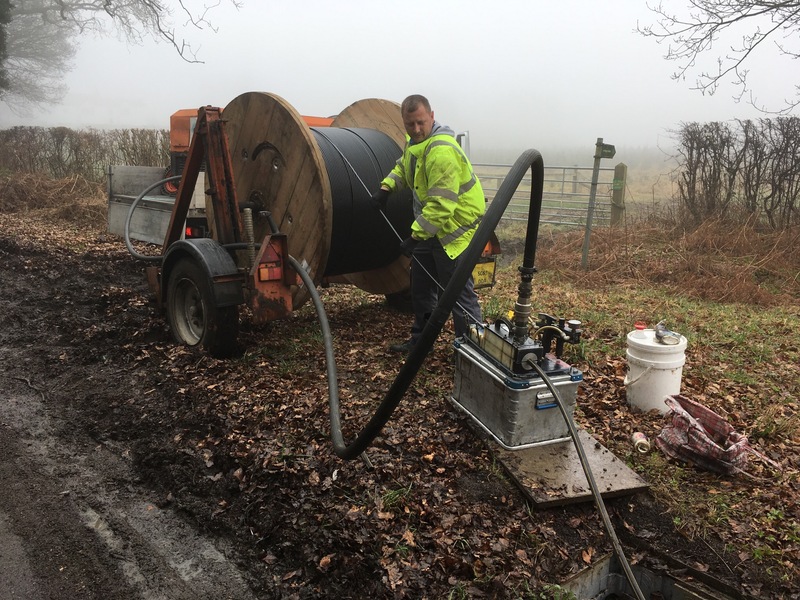 FTTP is only just getting underway in Oxfordshire and we understand there were issues with the roll out in Rotherfield Greys. If you have a regular drive/distance from road and are happy with a new over head cable with the fibre in being strung from the pole then connection should be free or a nominal £100. If you have an unusually long drive there can be excess costs that you have to pay – these can be from hundreds of pounds to thousands. If you want your drive dug up and relaid immaculately then that is usually extra. Less choice of ISP – for early adopters it’s BT or the highway, later, Zen and A&A might come in (see below) but no Sky or Talk Talk. So if you have a Sky or Talk Talk etc package you need to get out of that. ISPs don’t always offer an FTTP service once an exchange has been enabled, as it is a new and minority service. General uncertainty around aspects of pricing – sometimes there is an activation fee of £100, you may have a switching fee of £100, sometimes this might all be waived by BT Openreach or the ISP. If you want to remove your copper line then there is a fee for that, usually. As FTTP involves much more digging etc than using copper phone lines my judgement is that forecast FTTP availability dates will slip more than for cabinets. Advice varies on whether you can get rid of your copper phone line – the exchange has to support ‘voice over fibre’. The home equipment has a couple of phone line plugs (see picture) if the exchange allows, then you can have your copper line removed we think, although there is usually a fee for that. The ISP Andrews and Arnold recommend subscribers retaining a copper line for voice in these early days. We don’t know yet if Turville Heath and Nettlebed will support voice over fibre at launch. There are two specialist British ISPs that support FTTP and have a published price list both of which have excellent customer service, light years removed from BT. BUT we don’t yet know if they will offer it in our bits of Oxfordshire. As the links below to their FTTP pages show they both have different pricing and connection fees. And as ever if you do not subscribe to the new service then there is no improvement at all in your existing line. If you are on a traditional/terrible BT ‘home hub’ router, you will need a new one. The new BT Smart Hub is very good, but any WAN router (sometimes called a cable router) will do. Get one with ‘Wireless AC’ to see a massive improvement in your wifi speeds – such as this one. I have asked OCC to update its web page on FTTP as it was out of date and they seem to have improved it a bit. 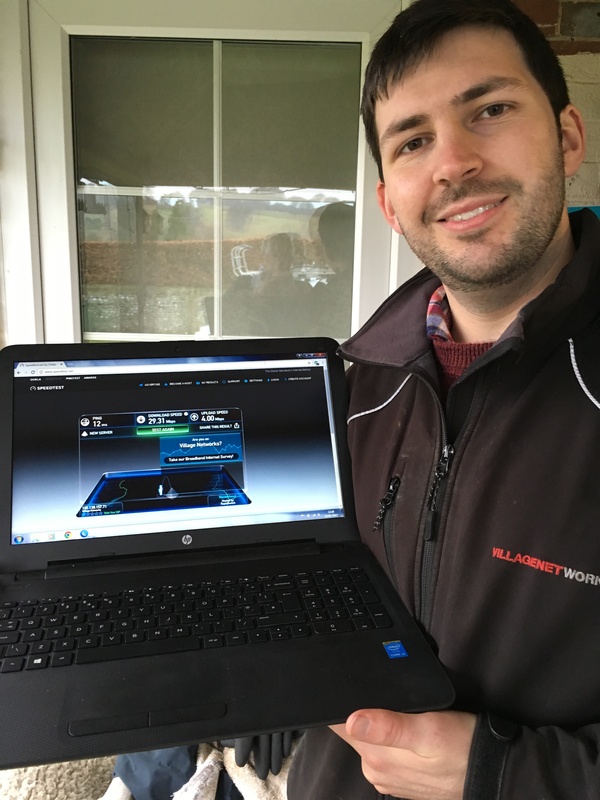 First bit of new local broadband network goes live – can you help? Good news for local broadband – the first bit of the Village Networks broadband for our hills and valleys has gone live. We hope to deliver a 20mbs service to people in Stonor around the end of November and Russells Water and Britwell Hill in December. I explain how below in a construction update. We now need some help from local people. Further to my blog post of 27 September SODC have confirmed that the little pole in the deer park does not need planning permission and Historic England have said that’s ok with them. 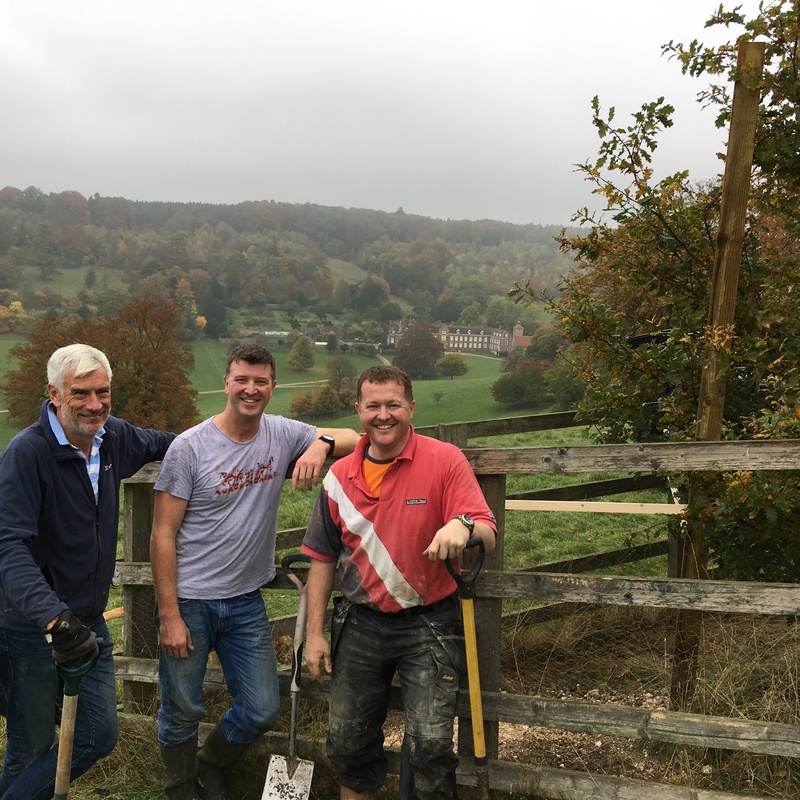 The fibre to Stonor Park has now been turned on (‘lit’ as they say) and fibre and power will be run up the hill in w/c 7 November. From the deer park pole Village Networks plan to send the signal down into Stonor Village to a prominent building and then relay it along the village from there to individual houses. If you have such a building (a barn say or tall house with a decent view along the village), please get in touch. We are waiting for the final paperwork from the police to put equipment onto their Britwell Hill antennas, from where Village Networks will relay the signal to local communities. 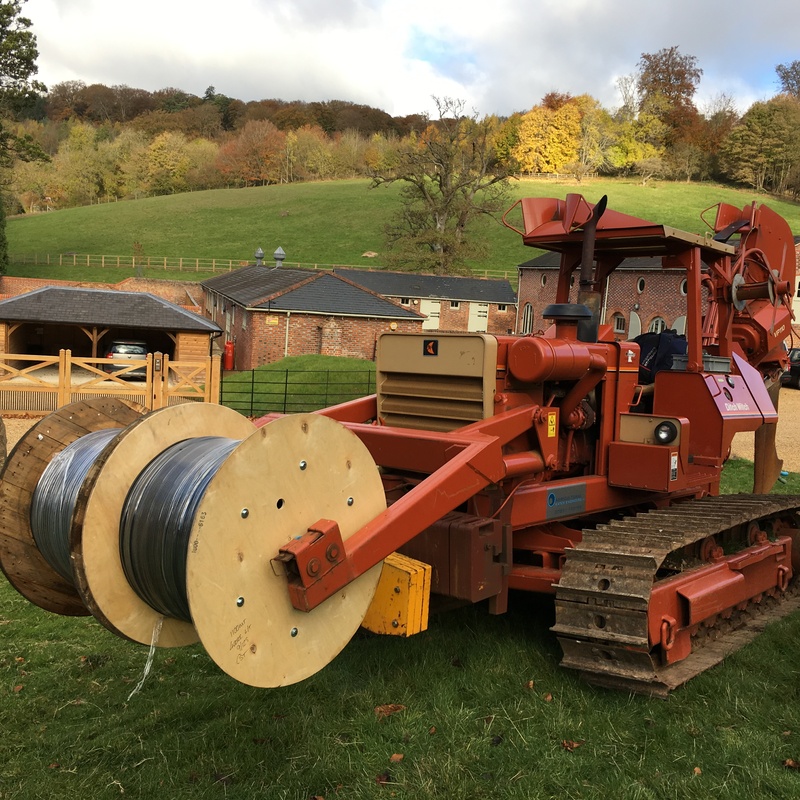 Stonor Park has an unused optical fibre connection to the Internet. Village Networks are ‘relighting’ this to provide a 1Gb connection to the Internet, known as ‘backhaul’. This is sufficient to provide excellent broadband to Stonor House and offices and the local community. We are grateful to William Stonor and his team for alerting us to this fibre. By kind permission of William Stonor and family VN will send a broadband signal to the top of a hill in the deer park overlooking Stonor where they will locate a 1.8 metre (5’11”) high scaffold pole or fence post amidst a clump of saplings (approximately here) with a pair of small aerials. From there the signal will be sent into Stonor village and up to the Thames Valley Police radio masts at Britwell Hill. From Britwell Hill the signal can be transmitted to local communities (here’s our earlier now slightly dated article on how it works). Each community or clump of houses will have a central ‘node’ that can see the Britwell Hill masts and then relays the signal by radio around local houses. A node is about the size of a dinner plate (now using Mimosa kit, which can be painted). Russell’s Water is lining up to be the first node with energetic support from Ian Beecher-Jones, others who want to get going should let us know. The subscriber tariff will begin at £40/month inc VAT for up to 24 Mbs download /2Mbps upload unlimited service. Business subscribers: up to 24/12 unlimited, 24hr on-site support, £75/month. Made-to-measure service for higher bandwidths where available, priced to suit. BT Superfast unlimited is £38.99 a month including line rental. There isn’t a line rental with the Village Networks product and you can run your phone over it, ditching the BT line. It should also be possible to run a mobile device like Vodafone Suresignal over the broadband to improve radically your mobile reception. We hope to get installation in each household subsidised by a voucher from the government (BDUK) and are wading through their process. For those currently struggling on regular DSL this service will be like night and day. The expense is well worthwhile when one considers the time and frustration saved and the number of expensive journeys reduced through better online connection. checking that the small pole does not need planning permission. In our view it is a de-minimis, practically invisible item of telecommunications infrastructure of great community value. We have the support of the local parish council and are talking to SODC case officers. frequency clearance with OFCOM for Britwell Hill and final paper work with TVP. TVP have been tremendously helpful but their process is long winded and we hope we can get this wrapped up quickly. 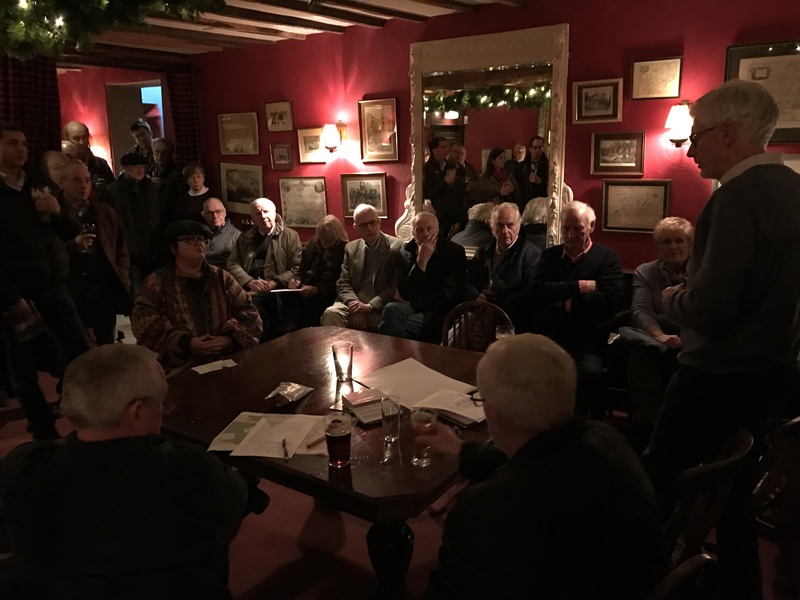 For some of course, BT is coming over the next couple of years with backing from OCC, albeit with all the uncertainties and caveats that came out at the Russell’s Water village hall meeting. And not everyone will get BT superfast in the end, we think. Here’s a chance though to get a good service quickly working with local people and over which we have some control, supported by local engineers from Aylesbury. And of course it’s exactly what Norman Tebbit had in mind when he privatised BT – one local competitor that keeps everyone on their toes. A bit like Strictly, this project has slow, slow, quick, quick, slow phases. We are now in a quick, quick phase and shall be writing more in the near future. We are always looking for volunteers – even if it is just to post leaflets, spread the word or professional services support.